Time for my annual post on what I’m thinking about for Hugo nominations. As ever, I’ll caution that I have read a lot of short fiction, but that I am less up on the other categories. I have seen a fair quantity of movies, too, however. Let me reiterate something I said last year – though I participate with a lot of enjoyment in Hugo nomination and voting every year, I am philosophically convinced that there is no such thing as the “best” story – “best” piece of art, period. This doesn’t mean I don’t think some art is better than other art – I absolutely do think that. But I think that at the top, there is no way to draw fine distinctions, to insist on rankings. Different stories do different things, all worthwhile. I can readily change my own mind about which stories I prefer – it might depend on how important to me that “thing” they do is (and of course most stories do multiple different things!) – it might depend on my mood that day – it might depend on something new I’ve read that makes me think differently about a certain subject. And one more thing – I claim no special authority of my own. I have my own tastes, and indeed my own prejudices. So too does everyone else. I have blind spots, and I have things that affect me more profoundly than they might affect others. I’ve also read a lot of SF – and that changes my reactions to stories as well – and not in a way that need be considered privileged. Anyway, as ever, in the lists below, I’ll suggest somewhere between 3 and 8 or so items that might be on my final ballot. Those will be in no particular order. And the other stories I list will all really be about as good – and I might change my mind before my ballot goes in. The other obvious point to make is that the great bulk of these stories are those that I plan to include in my yearly anthology. There are a few that didn’t make it, for reasons of length, contractual situation, balance, or even that I might have missed a story by the deadline for the book. Sofia Samatar, “Fallow” – Samatar’s debut collection, Tender (Small Beer Press), is absolutely essential. There are two new stories, this novella, and a short story, “An Account of the Land of Witches,” and both are outstanding. “Fallow” is the story of three different sort of rebels on a struggling colony, apparently inhabited by an Amish-like sect, trying to maintain their identity while hoping for a return to an ecologically ruined Earth when it becomes potentially re-inhabitable. But that doesn’t get at what’s so cool about it — beautiful writing, haunting characters, and a real sense of mystery and strangeness. Sarah Pinsker, “And Then There Were (N – One)” – A story about a convention of alternate Sarah Pinskers, complete with a murder. 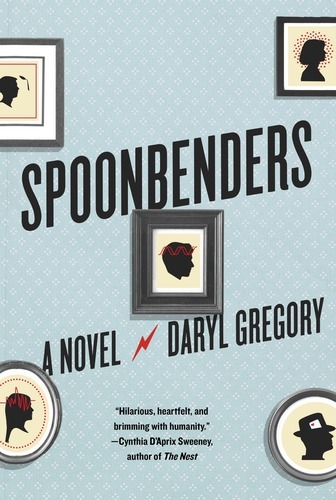 It is warmly told – funny at time, certainly the milieu is familiar to any SF con-goer. But it’s dark as well – after, there’s a murder – and it intelligently deals with issue of identity and contingency. 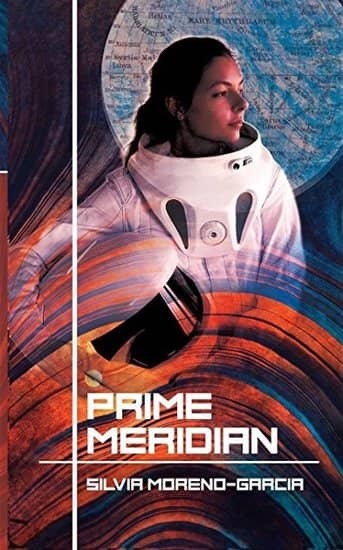 Silvia Moreno-Garcia, Prime Meridian – This story came kind of out of left field – not exactly so, as Moreno-Garcia has certainly done some first-rate writing, but this was published to begin with as an ebook available to supporters of an Indiegogo campaign. It will be more generally available in 2018 (including in at least one Best of the Year volume). And it’s tremendous work, mixing a convincing portrayal of near future Mexico City with dreams of trips to Mars – both the protagonist’s hopes to be an actual colonist, and a fading movie star’s memories of a movie she made about Mars. Kathleen Ann Goonan – “The Tale of the Alcubierre Horse” – just to prove you don’t have to be a woman whose first name starts with S! This is an ambitious and moving story of the first starship, which ends up crewed by a group of super-intelligent children and an older woman. The current leaders for the fifth position on my ballot are Broderick’s “Tao Zero,” a rather crazy sort of superscientific tale, lots of fun; Hutchinson’s Acadie, a twisty story of the true nature of an utopian seeming space habitat; Tolbert’s “The Dragon of Dread Peak,” also lots of fun, about a group of teens exploring a dangerous magical rift in their city; and Wells’ All Systems Red, an often funny, and quite action-filled, story of an AI security android who really doesn’t like humans all that much. Yoon Ha Lee, “Extracurricular Activities” (Tor.com, 2/17) – a quite funny, and quite clever, story concerning the earlier life of a very significant character in Lee’s first novel, Ninefox Gambit. Shuos Jedao is an undercover operative for the Heptarchate, assigned to infiltrate a space station controlled by another polity, and to rescue the crew of a merchanter ship that had really been heptarchate spies, including an old classmate. 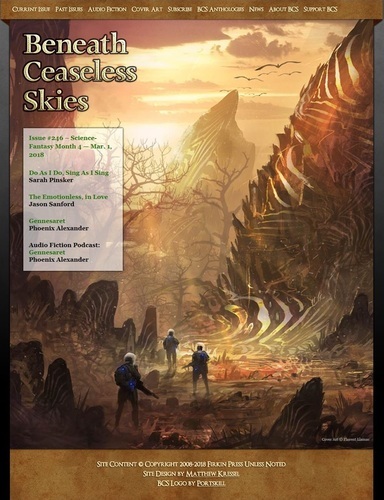 Suzanne Palmer, “The Secret Life of Bots” (Clarkesworld, 9/17) – a very old bot on a battered Ship trying to stop an alien attack on Earth. It shows a surprising amount of initiative – even, one might say, imagination – in dealing with the Incidental. Might that not be useful in dealing with the aliens? Or might bots have their own ideas about their own place? 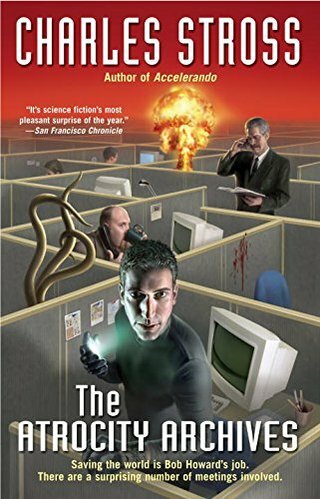 Samuel R. Delany, “The Hermit of Houston” (F&SF, 9-10/17) – This is set some time in the future, in a strange future, hard to get a grip on (the best kind), from one angle seeming sort of pastoral utopia, from other angles utterly horrifying. It’s mostly about the narrator’s long-time lover, an older man named Cellibrex (sometimes), and about the hints he lets drop of some of the true nature of this future. 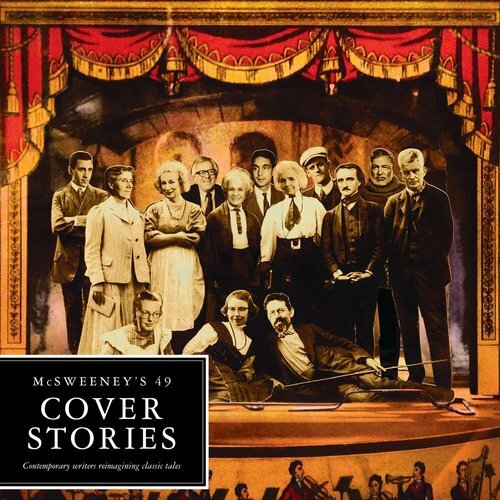 There is extremely interesting treatment of gender, and of politics, and of law and custom and memory – and I don’t get everything that’s going on in the story, in a good way. Will McIntosh, “Soulmates.com” (Asimov’s, 3-4/17) — The story is scary, and morally provocative, and resolved with honesty. It’s about a man using an AI service to meet potential partners, and finding a really interesting woman – but somehow she never wants to meet in real life. Of course, she’s an AI – and the protagonist doesn’t react very well to that revelation. Peter Watts, “ZeroS” (Infinity Wars) — posits a technology that turns soldiers into non-conscious actors – for it turns out the unconscious has spooky abilities. Which are pretty scary for the humans who end up sort of “riding” their unconscious – especially when they learn what their “zombie” selves are capable of. For an extra fillip of spookiness, the story is told from the POV of a soldier who actually died, and who has been resurrected by this particular technology – at an increasingly horrible price. Hanus Seiner, “Hexagrammaton” (Tor.com, 5/17) – A man serves as a sort of intermediary to Europans who have survived an alien virus, guiding a young woman to visit her father when he realizes she is infected with the virus – and with a purpose. Another thread shows a man – the same man? – in prison – and somehow both these threads seem to turn on understanding the alien language, and its multiple meanings for the same sentence. The linguistic weirdness reminded me of Ted Chiang’s “Story of Your Life,” and though it’s not THAT good, it’s pretty weird cool stuff. Maureen McHugh, “Sidewalks” (Omni, Winter/17) – Rosni Gupta is a speech pathologist for Los Angeles County, and her latest case is a woman who speaks nothing but gibberish. Rosni assumes she is perhaps autistic, but on meeting her she realizes that is not the case, and soon learns what the gibberish really is. I’ll leave the secret for the reader to discover – not that it’s particularly a new notion – but the implications are powerful, and the characters are absolutely real. Giovanni de Feo, “Ugo” (Lightspeed, 9/17) – About a girl who repeatedly meets a strange boy named Ugo, who claims to know their common future. Eventually he tells her that he experiences “Leaps” through time, when his older self goes into a sort of fugue and travels into his younger mind. The story follows their life, and their love affair, and careers – with the question always as to how it will end, for Ugo’s knowledge of the future only goes so far. There’s an obvious hint of The Time Traveler’s Wife here, but with a somewhat darker tint – and with an ambiguous ending twist. This is a very effective, moving, and thoughtful piece. Charlie Jane Anders, “Don’t Press Charges and I Won’t Sue” (Boston Review, Global Dystopias) – This concerns Rachel, who has been confined in an institution to cure her particular personal problem, as the state sees it – her belief that she is a woman, though she was born a boy. Her childhood friend Jeffrey is a functionary at this particular institution. And the method of “cure” is particularly horrific – not that her situation isn’t horrific no matter how the state wished to treat her. Anders has always had the ability to present truly agonizing situations with a superficially comic surface, which only makes the realization of the horror beneath more affecting – and never more so, I think, than in this story. 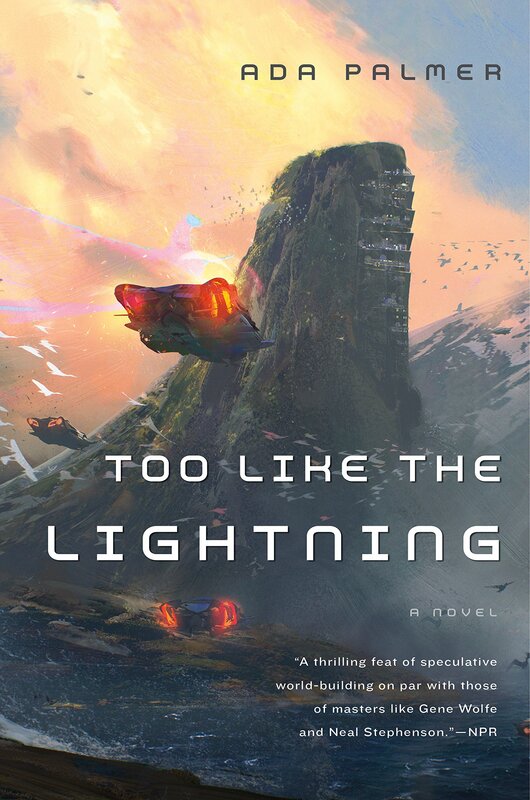 Linda Nagata, “The Martian Obelisk” (Tor.com, 7/17) – set in a future in which a series of disasters, with causes in human nature, in environmental collapse, and in technological missteps, has led to a realization that humanity is doomed. One old architect, in a gesture of, perhaps, memorialization of the species, has taken over the remaining machines of an abortive Mars colony to create a huge obelisk that might end up the last surviving great human structure after we are gone. 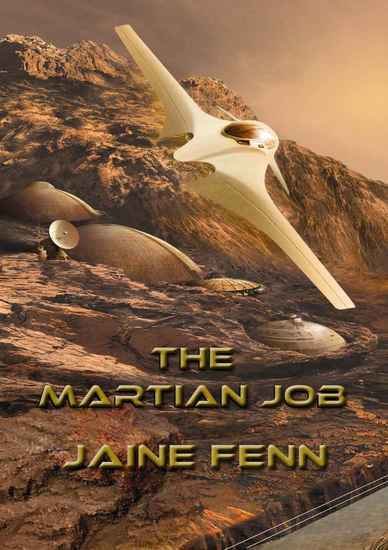 But her project is threatened when a vehicle from one of the other Martian colonies (all of which failed) approaches. Is the vehicle’s AI haywire? Has it been hijacked by someone else on Earth? The real answer is more inspiring – and if perhaps just a bit pat, the conclusion is profoundly moving. Karen Joy Fowler, “Persephone of the Crows” (Asimov’s, 5-6/17) – is just wrenchingly brilliant, using apparently true (in story terms) fantastical elements in service of character examination, and in so doing resolves itself without really resolving any of the questions the fantastical elements might inspire. 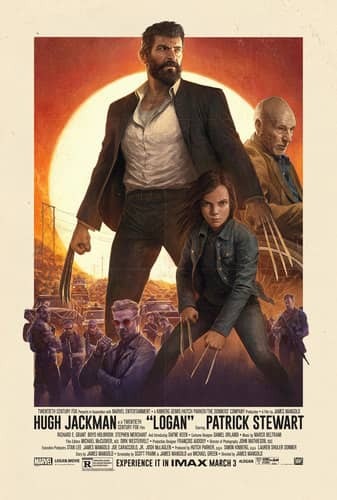 Which, to a devoted reader of the fantastic can be in a way disappointing. But on its own terms I think this story delivers. Polly is a 10-year old girl at who meets another girl who claims to have seen a real fairy. Polly is envious of the other girl for lots of reasons – money is one, parents are another, and Polly’s wishes for something better in her life only intensify that night – until the drive home, when her drunken father loses control of the car – and things get strange. Be careful what you wish for, perhaps? Though that sounds a bit facile – the story doesn’t quite go where you expect it to, and in the end we have a sharp portrayal of its main character and a sad look at her perception of her family. Tobias Buckell, “Zen and the Art of Starship Maintenance” (Cosmic Powers) – A starship maintenance robot, after a successful battle, by happenstance rescues a CEO of the enemy fleet, and finds himself inveigled/bribed/coerced into rendering assistance. 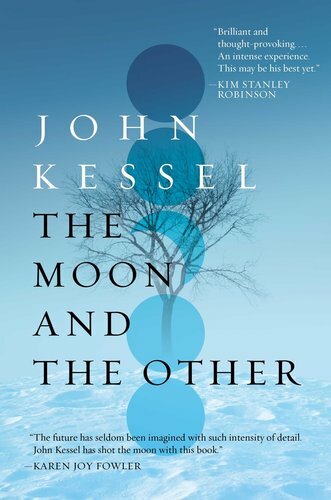 The story turns on the complex intersection of intriguing speculation about AIs and identity, economics, contract law, moral law, free will and orbital mechanics. In other words, really cool stuff. Tobias Buckell, “Shoggoths in Traffic” (Patreon, 4/17) – is a clever Lovecraftian crime story, in which a couple of people steal (repossess!) a car from a drug dealer and try to take it to Miami – but on the way run into a weird highway exit and a biker magician and – well, you’ll not think of cloverleafs and other traffic patterns in quite the same way after this! I’ve got a few more novels ready to read real soon: Raven Stratagem, by Yoon Ha Lee (cool that I’ll read that right after John Crowley’s novel about a crow); Six Wakes, by Mur Lafferty; The River Bend, by Kij Johnson; Quillifer, by Walter Jon Williams; and Autonomous, by Annalee Newitz. That doesn’t by any means exhaust the pool of good novels, or potentially good novels, but I only have so much time! 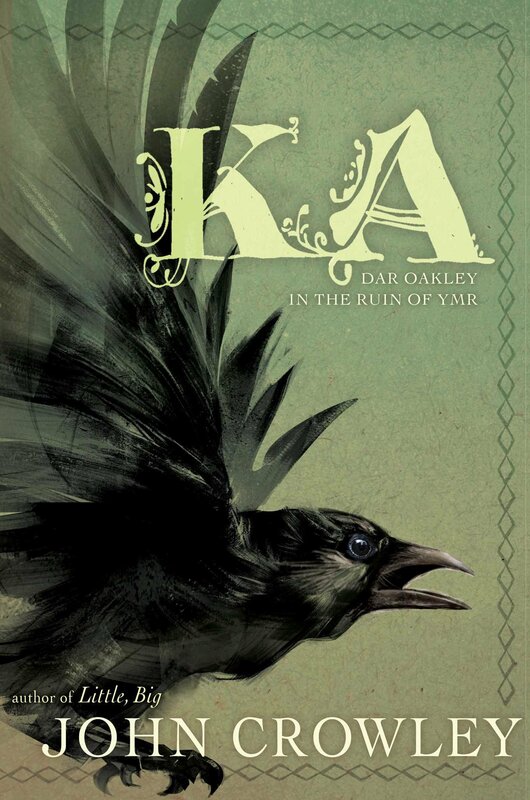 Ka, by John Crowley – the subtitle is “Dar Oakley in the Land of Ymr,” and it’s about a Crow named Dar Oakley, who, upon being nursed to life by an aging man in our near future, tells the man stories of his long life – or series of lives – and his increasing contact with humans and knowledge of the human world (which he calls Ymr). This sounds simple – oh, another talking animal story – and it’s nothing but: beautifully told and wise, with the voice of both the human narrator and of Dar Oakley remarkably well-realized. 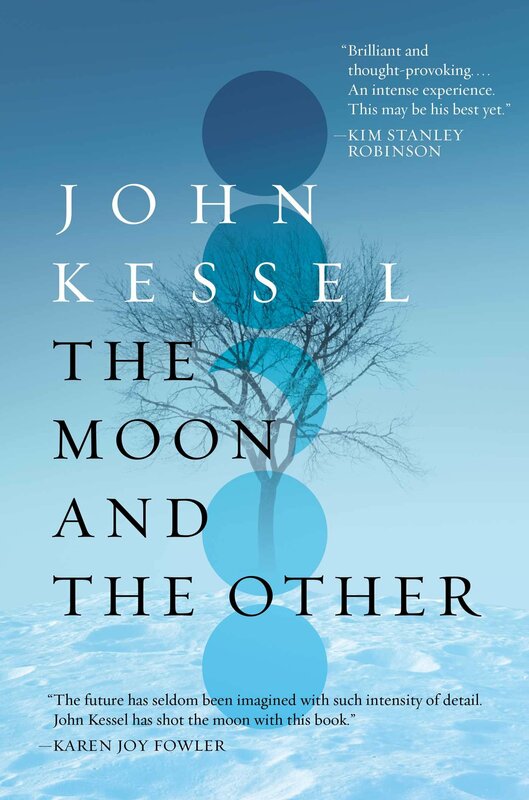 The Moon and the Other, by John Kessel – Set in the 22nd Century on the Moon, centered on the political turmoil in one colony run by the Society of Cousins, in which women hold all political power, on the grounds that men are too violent. (The argument is developed more subtly in the book and in its related stories.) One character (the hero of a previous story) has been exiled and is making a life in another, noticeably patriarchal, society, when he is offered an opportunity to return to his first home. Another character is a woman involved in a Reform movement aimed at giving men in the Society the right to vote. Another character is a charismatic athlete in the Society who wants custody of his son. And who has a very unexpected personal secret. 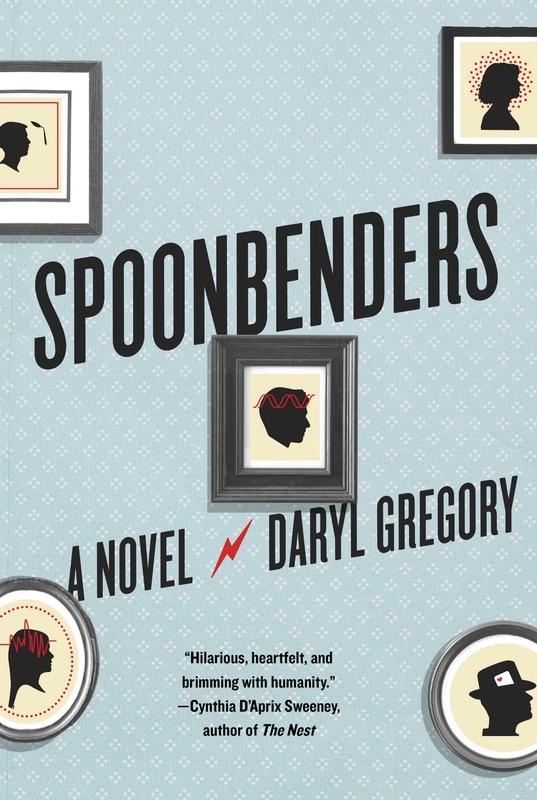 The novel is not drily political, or polemical, at all (though as with most essentially utopian stories, I sensed a bit of bias towards the more utopianish community) – instead it’s actively engaging, very fun reading, very thought-provoking. This is the choice for those who want traditional hard SF. I’m going to cop out just a bit and suggest that the best thing to do is look at JJ’s list of eligible series posted at File 770 here. This is the first year for this new award. As I mentioned, it is not a Hugo, but it will be administered and awarded by the World Science Fiction Society using essentially the same process as for the Hugos (and the Campbell). 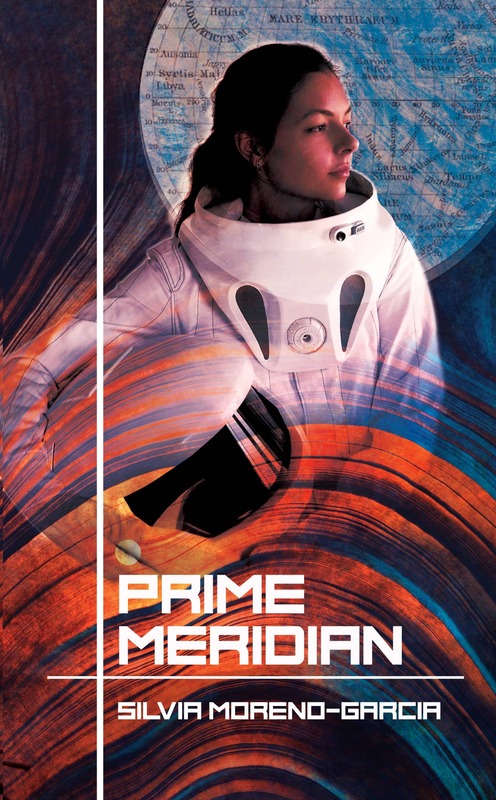 The only true YA novel I read this year was Martians Abroad, by Carrie Vaughn, which I enjoyed, though I wouldn’t quite call it Hugo level work. I have just bought A Skinful of Shadows, by Frances Hardinge, on the urgent recommendation of folks like Farah Mendlesohn and others, and it looks quite interesting. Beyond that I’d suggest a look at the YA category in the Locus Recommended Reading list. The Shape of Water – clearly, of those I’ve seen, the best SF/Fantasy movie of the year. (Three Billboards Outside Ebbing, Missouri is the best movie of the year, if you’re asking.) This is a delicious hommage to – and improvement on – The Creature From the Black Lagoon and its sequels. 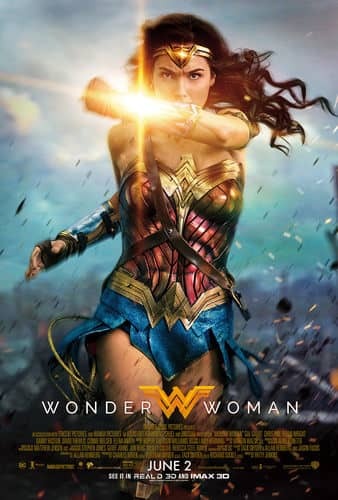 Directed by Guillermo del Toro, and starring Sally Hawkins as a janitor who encounters the creature in a military installation, and falls in love with him. It’s a visually impressive film, and a very moving film. Some of the plot machinations are a bit creaky, sure, but the whole thing hangs together and comes to a powerful conclusion. Also features strong performances from Richard Jenkins, Olivia Spencer, and Michael Shannon. 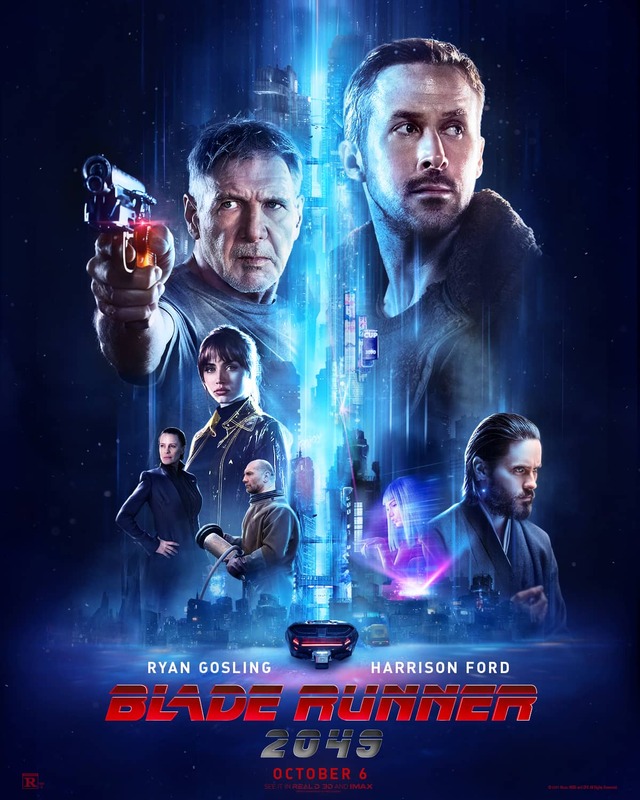 Blade Runner 2049 – I thought this movie was a really strong sequel to a truly great original. The future seemed a plausible future to Blade Runner, and the story was – with a couple of bumps – exciting and affecting. Harrison Ford, Robin Wright, Ryan Gosling, etc. The Last Jedi – Fun as well, but, well, I recommend Adam Roberts’ review in Strange Horizons, which details pretty convincingly the overly silly aspects that make it just a bit too stupid. I did like Kelly Marie Tran as Rose, and Laura Dern as Admiral Holdo – it also features, of course, Mark Hamill, Carrie Fisher, Daisy Ridley, Oscar Isaac, etc. etc. – and some cute aliens. The two fan writers I want to promote the most this year are a couple I mentioned last year as well: John Boston and John O’Neill. John Boston’s most publicly available recent stuff is at Galactic Journey, where he reviews issues of Amazing from 55 years ago, month by month. (It will be noted, perhaps, that I also review issues of Amazing from the same period, at Black Gate.) John’s work there is linked by this tag. Time for just a bit of obligatory self-promotion. 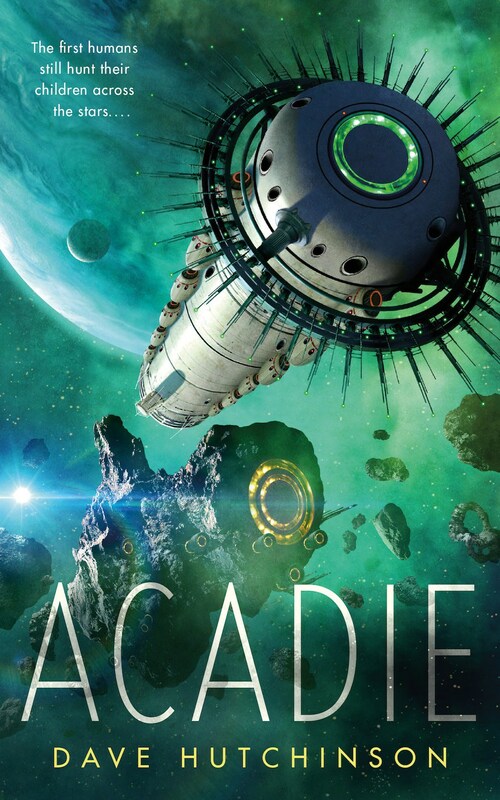 I am a fan writer (at least my blog writing and my stuff for Black Gate qualifies, if perhaps not my work for Locus, which I guess is now officially professional). I would note in particular my reviews of old magazines at Black Gate, particularly Amazing and Fantastic in the Cele Goldsmith Lalli era, and my various reviews of Ace Doubles (and other SF) at my blog Strange at Ecbatan (rrhorton.blogspot.com) (and often linked from Black Gate.) 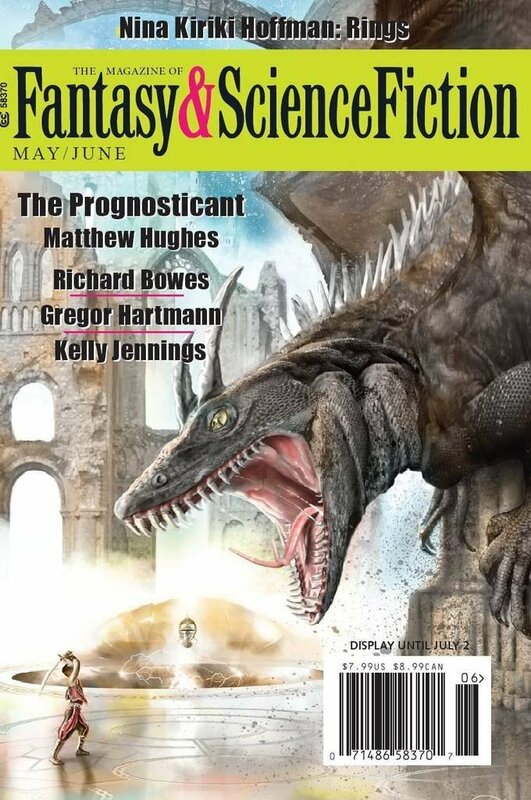 My blog also includes the occasional Convention Report (I did a long one on this year’s World Fantasy), and other newsy things such early versions of this exact article! 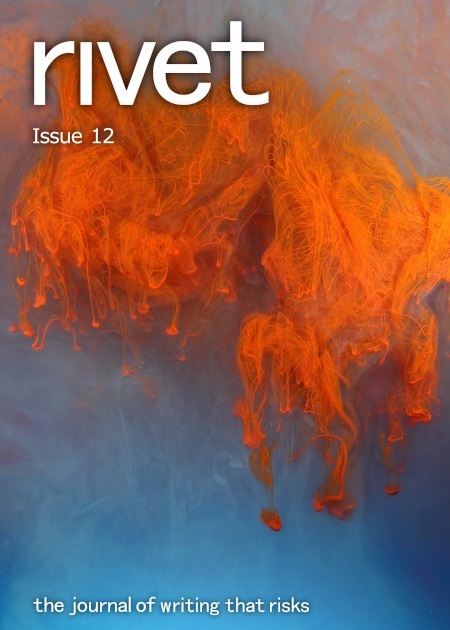 I also contributed a piece to the special Journey Planet Programmatic issue guest-edited by Steven Silver. I would be greatly honored if anyone thought my work worthy of a Best Fan Writer nomination. 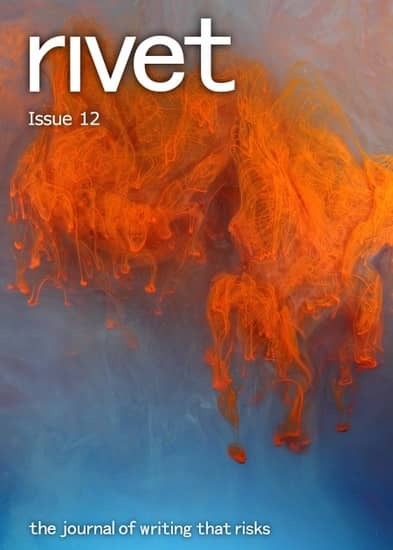 Finally, I’ll mention the other SF-oriented site I read and enjoy regularly – File 770, which is (deservedly) very well known, having been nominated for the Best Fanzine Hugo numerous times and having won some as well. 2018 is their 40th Anniversary! Happy Birthday! I suppose I am in a rut in this category, but I think that’s the nature of things. I will happily list the usual suspects – and I really do think they are the worthiest choices. These are, then Sheila Williams at Asimov’s, Jonathan Strahan with the Infinity series and other anthologies (including a Best of the Year series), plus stories for Tor.com), John Joseph Adams (Lightspeed, numerous anthologies, a Best of the Year series), C. C. Finlay at F&SF, Trevor Quachri at Analog, Andy Cox at Interzone and Black Static, Neil Clarke and Sean Wallace of Clarkesworld (with Neil is also editing a Best of the Year book, and Sean also co-editor of The Dark), Scott H. Andrews at Beneath Ceaseless Skies, and Lynne and Michael Damian Thomas at Uncanny. 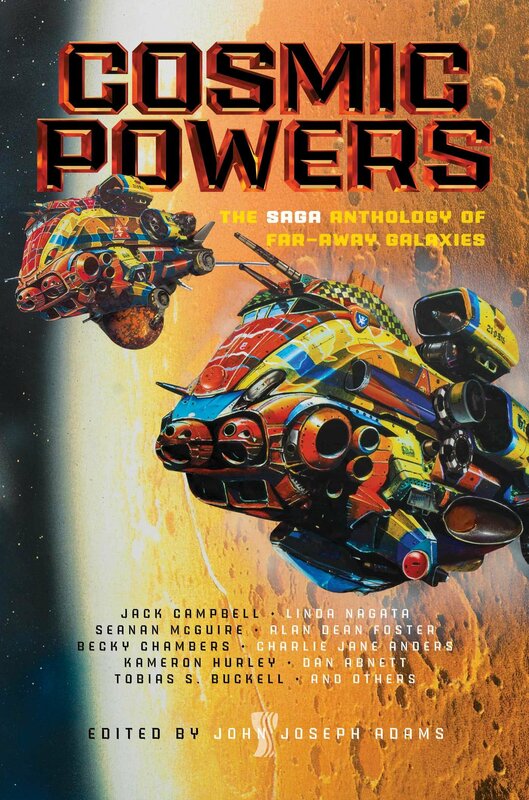 And, of course, the two most decorated contemporary editors, Ellen Datlow and Gardner Dozois. 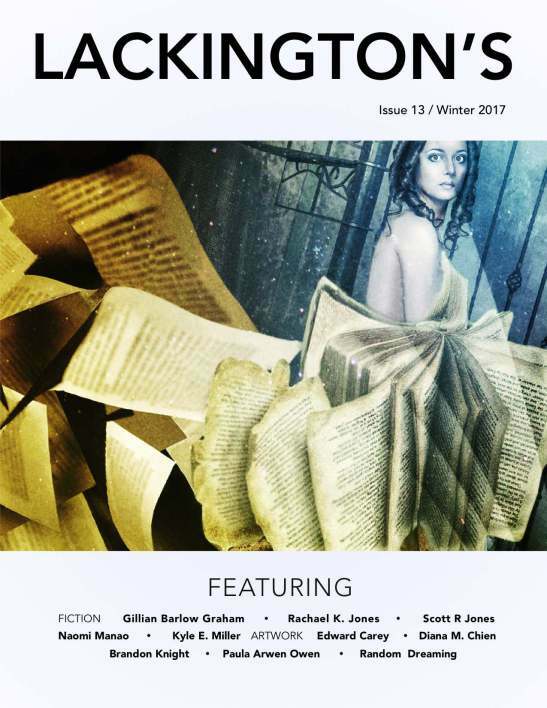 Ellen, in addition to a couple of strong horror anthologies, and some acquisitions for Tor.com, returned to her post as Fiction Editor at Omni, with one very strong issue. 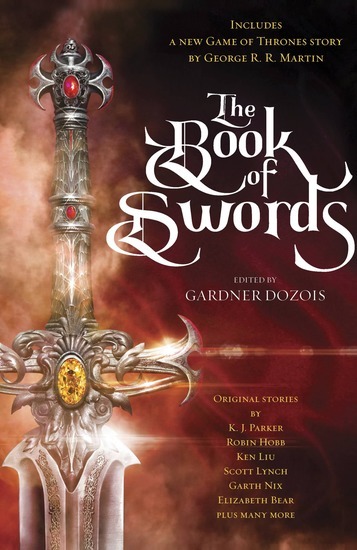 Gardner, besides his long-running Best of the Year series, and his work as reprint editor at Clarkesworld, edited an excellent original anthology, The Book of Swords. Each of the above is wholly worthy of a Hugo (and there are others worth consideration as well). My choice is complicated by the fact that I consider almost every one of these people a friend, in many cases of long standing. (There are one or two I haven’t met, but I’m sure I would get along with them as well!) In addition, I have professional relationships with John Joseph Adams (as I am Reprint Editor for Lightspeed) and Sean Wallace (publisher of my Best of the Year book). In many of these categories, I don’t really have any choices. This doesn’t mean I don’t think highly of those categories – I do! But I just can’t say much intelligent about any of them. I’ll go ahead and mention the categories anyway, for information’s sake. Neil Clarke maintains a list of eligible semiprozines, here. Neil’s list still includes Black Gate, but I believe that’s more appropriately a Fanzine – it does not pay its contributors, John doesn’t make significant money from it I’m sure, and it hasn’t declared itself a semiprozine. Kathleen Jennings – I saw two lovely covers from her this year for Small Beer Press books: Telling the Map, and The River Bank. 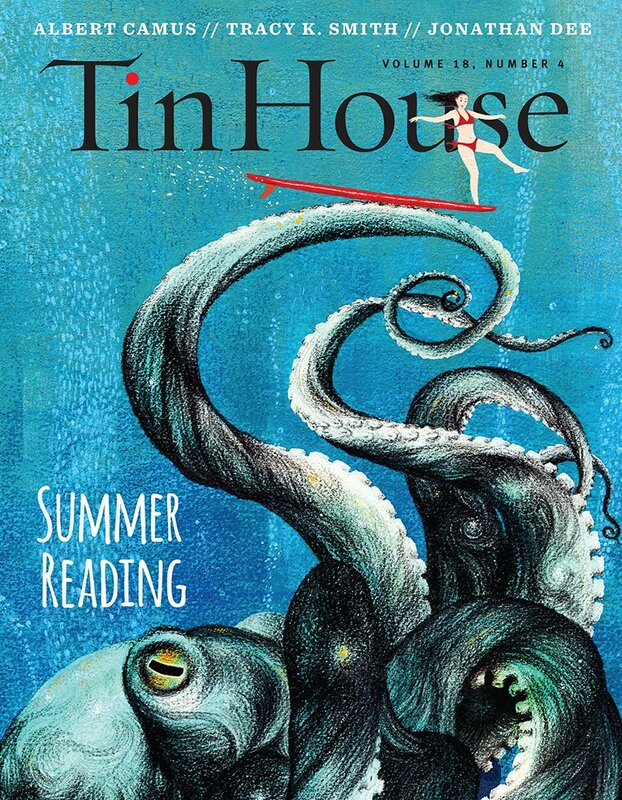 Not traditional SF illustration – which is not at all a bad thing! She has got notice in the past as a World Fantasy Award artist nominee. And she’s a very good writer: I used her story “Skull and Hyssop” in my 2015 Best of the Year volume. A portfolio is here. Gregory Manchess – He was the Artist GOH at World Fantasy this year, and I was really impressed by his work displayed there. He wrote an illustrated novel, Above the Timberline, published in 2017, which I have not read, but, again, the illustrations I’ve seen from it are very good indeed. Samples of his work can be found here. The John W. Campbell Award for Best New Writer, also “Not a Hugo.” This is given to the best writer whose first professional publication in the SF or Fantasy field appeared in the past two years (2015 or 2016). Writertopia has a page, not guaranteed to be complete, with a list of eligible authors. 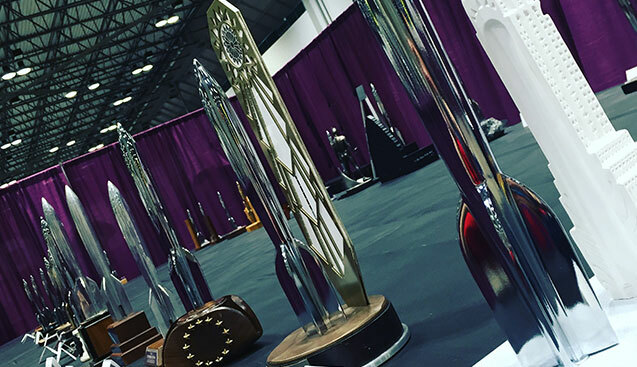 Nominations for the 2018 Hugo Awards and 1943 Retrospective Hugo Awards are open to anyone who was a voting member of the 2017, 2018, or 2019 Worldcons as of December 31, 2017. Nominations must be received by 11:59pm Pacific Daylight Time on Friday March 16, 2018 (6:59am UTC on Saturday, March 17, 2018. Get more information and register to vote (membership cost involved) here. Rich Horton’s last article for us was a Retro Review of the December 1961 issue of Amazing Stories. His website is Strange at Ecbatan. See all of Rich’s articles here. Nice nominations on your list! One thing to keep in mind: Charlie Stross asked people not to nominate him for the Series Hugo this year. I would love to see a nomination for Black Gate! We’ve been nominated twice before, and declined both times. I admit it might be nice to be nominated under circumstances we could stomach. 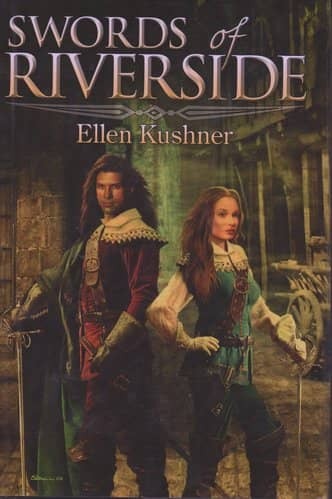 Thanks for the recommendation of Literary Wonder & Adventure Show as Best Fancast! Edgar the Raven is very happy!